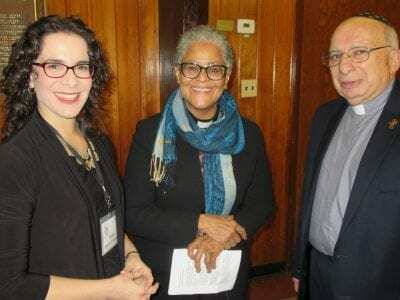 Three members of the clergy discuss the topic amongst themselves including Rabbi Sarah Freidson, Rev. Kathleen Berkowe and Deacon John Scarfi. Photo by Eric Gross Temple Beth Shalom in Mahopac was the setting for a multi-faith Thanksgiving service… Please login below or purchase a subscription to the Putnam County Courier to access this content. Putnam’s 911 Dispatch Center became deluged with calls once last Thursday evening’s snow intensified, resulting in dozens and dozens of crashes, scores of stranded vehicles and mile after mile of blocked roads. Dispatch Center Director Cindy Jacobsen… Please login below or purchase a subscription to the Putnam County Courier to access this content. These scouts packaged grab bag gifts that were distributed at the festival. The girls are (l-r) Hailey Colon, Tristan Colon, Cassidy Crosby and Hailey Tompkins. Photo by Eric Gross Hundreds of Girl Scouts and dozens of their leaders jammed into t… Please login below or purchase a subscription to the Putnam County Courier to access this content. 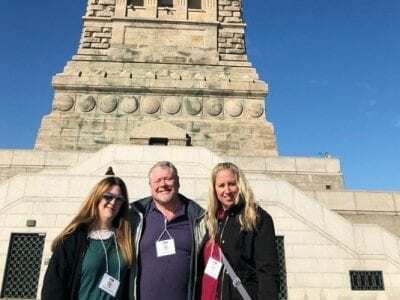 Christine Andrews, Bill Wilkens and Janeen Cunningham are in awe over the majesty of the Statue of Liberty. Photos By Joe DemarzoA tradition continued at the Putnam Youth Bureau when 50 residents – veterans, senior citizens and area youth –p articipa… Please login below or purchase a subscription to the Putnam County Courier to access this content. Polystyrene foam disposable food service containers have been a memory in county governmental circles since 2015, after the Putnam Legislature approved banning the environmental pollutant from use by county governmental agencies such as the Office fo… Please login below or purchase a subscription to the Putnam County Courier to access this content. Elections Commissioners Cathy Croft and Anthony Scannapieco received the backing of the Putnam Legislature’s Rules, Enactments and Intergovernmental Relations Committee last week and are expected to be reappointed to four-year terms at the legislatur… Please login below or purchase a subscription to the Putnam County Courier to access this content. On October 14, 1919, the former Putnam Board of Supervisors proclaimed a commemoration celebration by honoring all World War I service members. Eleven days later, more than 200 men and women who served overseas were honored with a parade, celebration… Please login below or purchase a subscription to the Putnam County Courier to access this content. Above: Wineries represented at the event came from throughout the Hudson Valley. Right: Barry Masters salutes the festival. 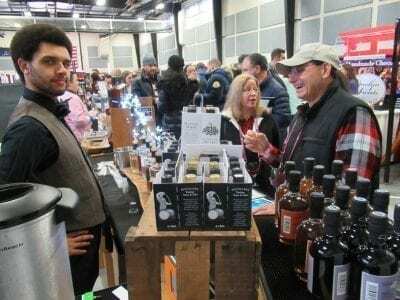 Photos by Eric GrossMore than 2,500 chocolate lovers, wine enthusiasts and supporters of PARC enjoyed each other’s company and… Please login below or purchase a subscription to the Putnam County Courier to access this content. Residents of Carmel, Mahopac and Mahopac Falls take notice. The municipality’s winter parking regulations are in effect. Carmel Police Chief Michael Cazzari said the regulation banning overnight parking on streets, helps to facilitate the “safe and e… Please login below or purchase a subscription to the Putnam County Courier to access this content.